To celebrate the 50th Anniversary of TheYachtMarket.com Southampton Boat Show, TheYachtMarket.com has joined forces with Rees Leisure, Sunsail and British Marine to deliver an exciting new event launching from Ocean Village. 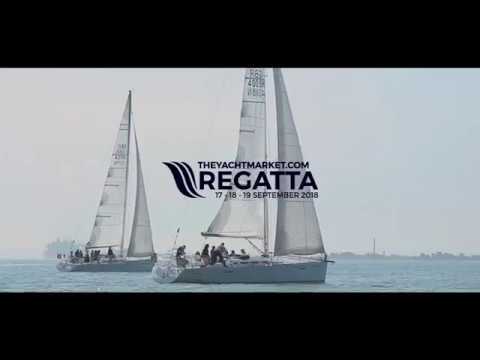 TheYachtMarket.com Regatta will be held from 17th – 19th September in support of Wetwheels and Sail 4 Cancer. There will be four races; The City Cup, pitting teams from cities across the country against one another. The Women's Cup will be dedicated to all-female crew. The Property Cup will see businesses from the property market compete against each other and finally, the Community Cup introduces yachting to children who may have otherwise not had the opportunity. Find more information or enter a team in the Regatta here. TheYachtMarket.com will be on stand E040 for the duration of the show and look forward to giving you a warm welcome.